Today I’m reviewing some great office supplies by Pilot. Pens, to be more specific. 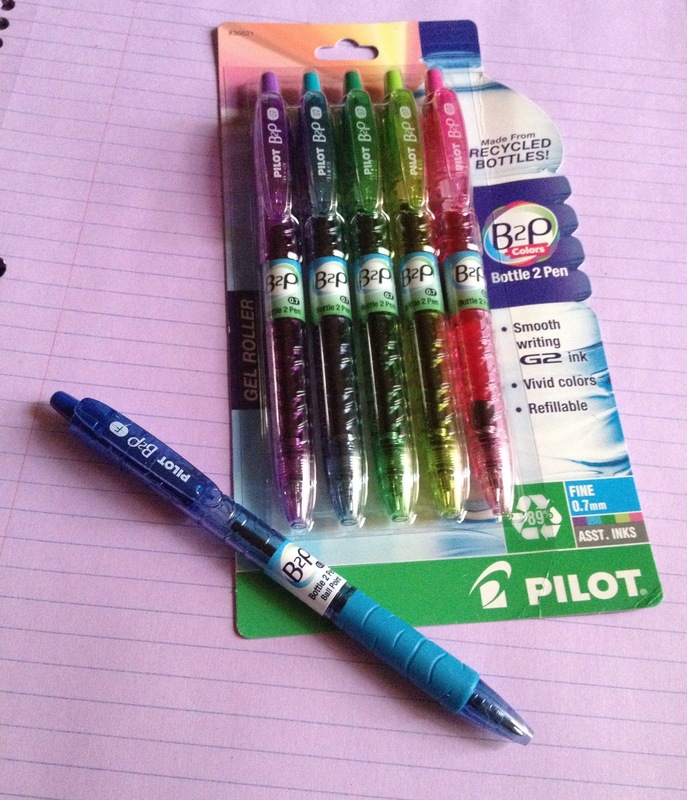 I’ll start off by telling you a little about the different ‘B2P Bottle 2 Pen’ pens. As the name says, they are pens made out of recycled water bottles which I think is pretty freakin’ spiffy! They’re refillable, retractable, and they come in all different colors ( B2P Colors Multi , B2P Gel ) and also a ball point model ( B2P Ball Pen ). Im a picky pen person and I’m definitely a fan. They just feel nice in your hand. That’s a good thing in my book. The Frixion clicker is the next pen I want to tell ya’ll about. It’s actually an erasable gel pen! I didn’t even know they made such a thing. The erasable pens I used to have in school weren’t exactly ‘erasable’. I can remember tearing my paper up when I was trying to erase my mistakes. 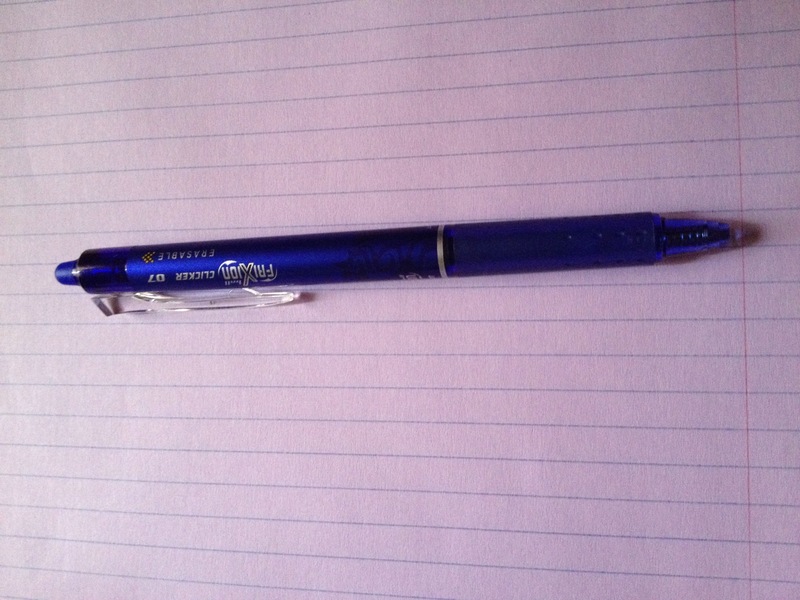 The Frixion clicker is nothing like the old erasable pens, it actually erases just like a pencil mark would. I’m definitely impressed with this one. 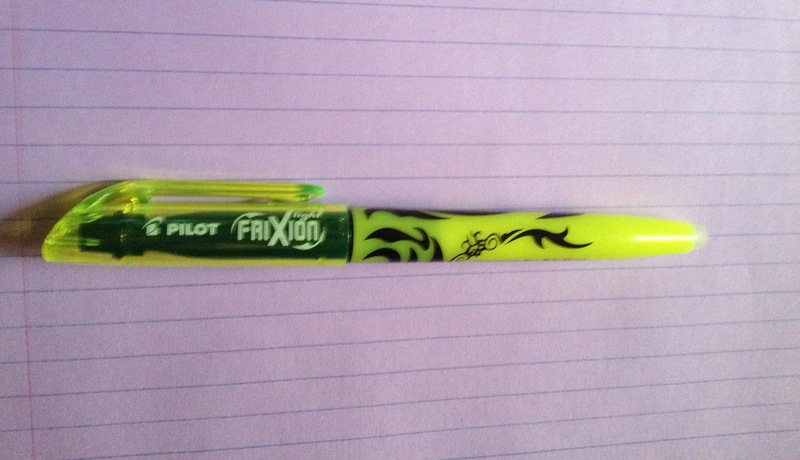 The Frixion highlighter is pretty much exactly like the Frixion erasable pen only in a highlighter version. It erases extremely well! 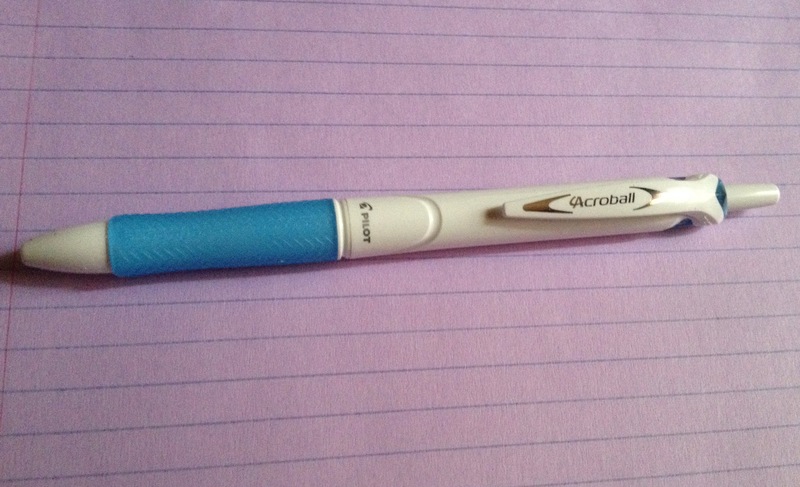 Last, but definitely not least, the Acroball Fine Pt pen was fabulous as well. It feels great in your hand and provides effortlessly smooth writing.